I love a good deal, especially at the grocery store. 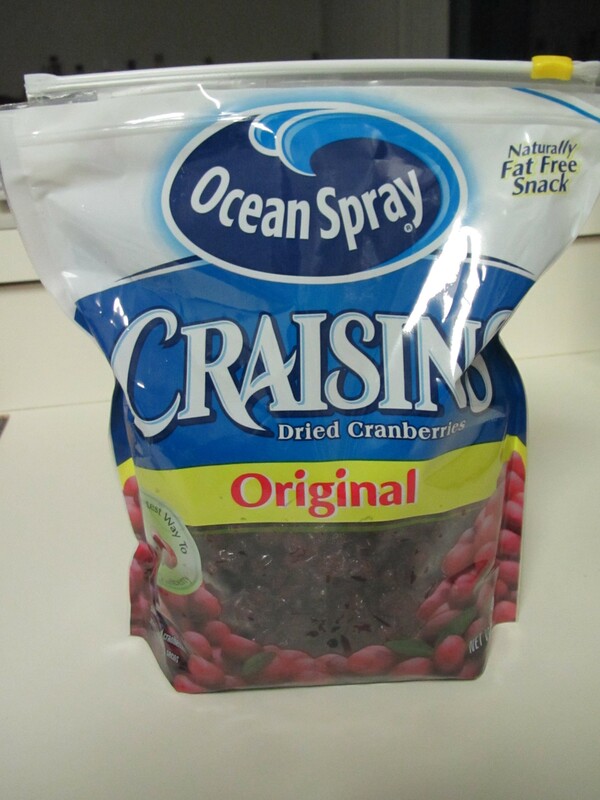 I found this HUGE bag of Craisins at Costco for not much more than the tiny bag I usually get at the grocery store (plus I had a coupon). Now that I have a years worth of dried cranberries, the fun thing is determining what to do with them, besides making trail mix and adding them to salads. 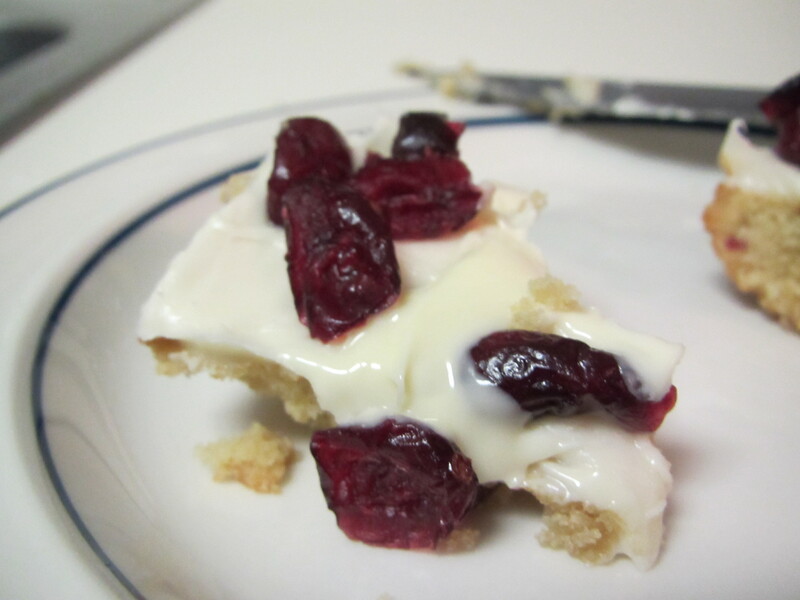 I know everyone talks about the Cranberry Bliss Bars at Starbucks, but I have never tried them. 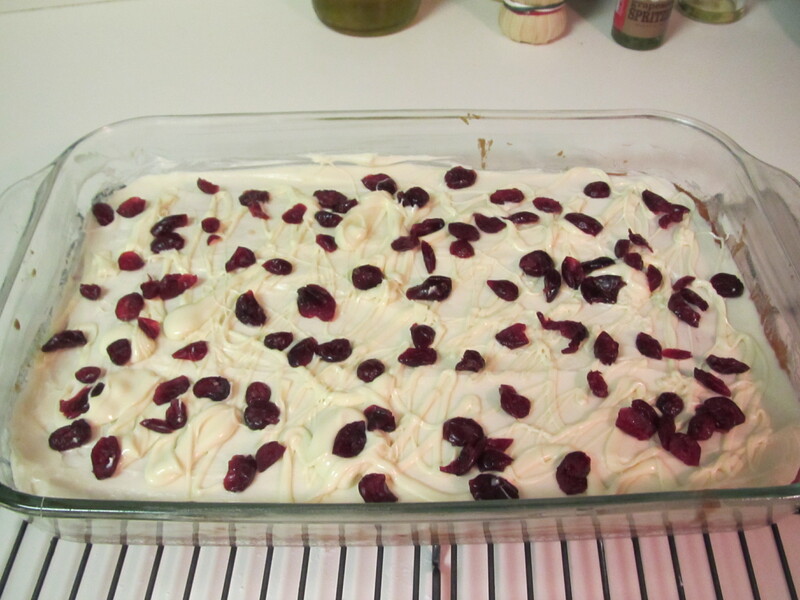 However, I accidentally came across the recipe and knew I had to make them for an upcoming work party. 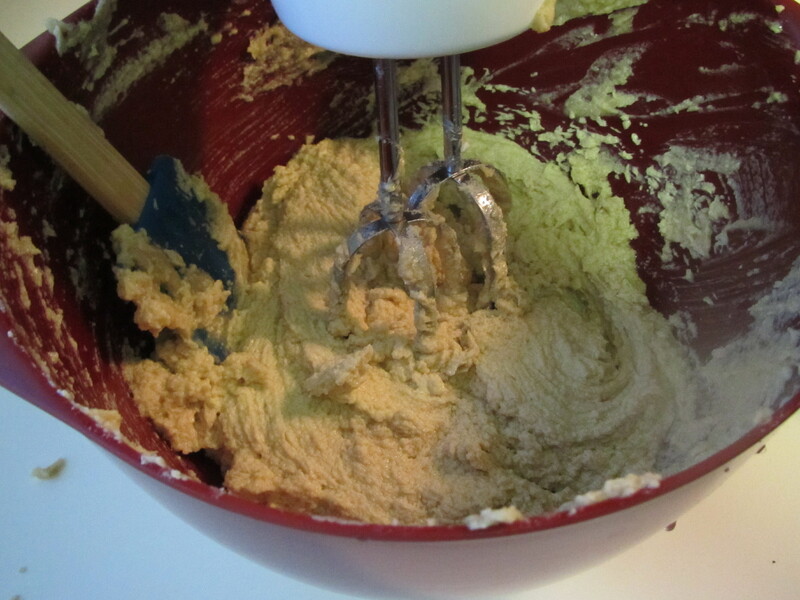 I started by blending my butter and sugar. Then adding eggs and vanilla, blending well. 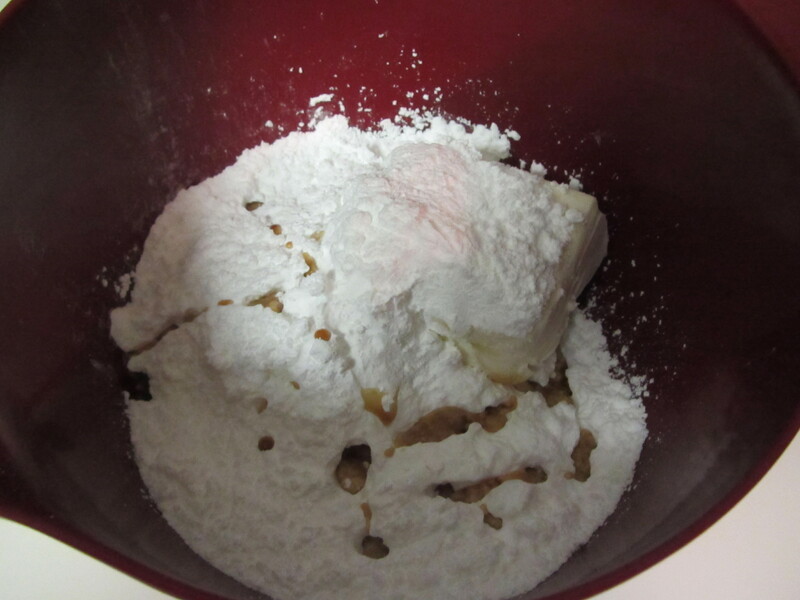 Then add the dry ingredients to the butter/sugar mixture and mix until well blended. 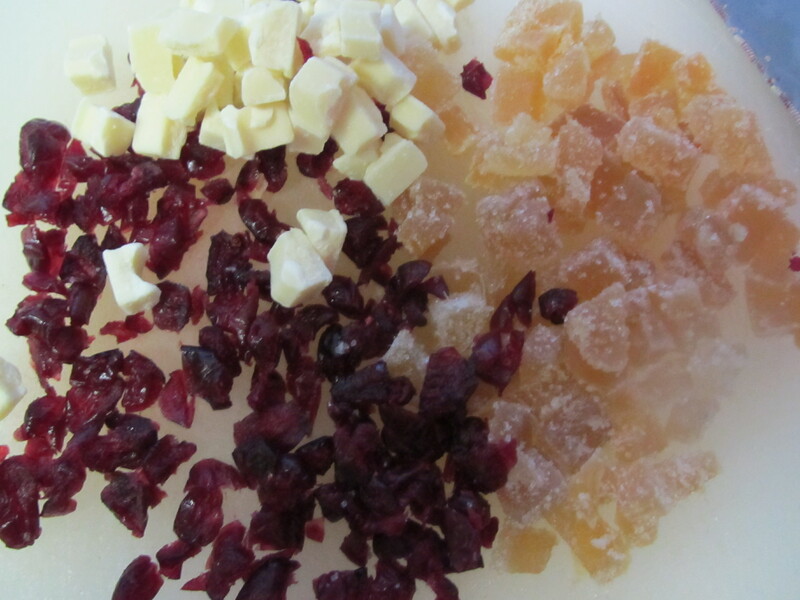 The next step is stirring in the ginger, cranberries, and white chocolate. 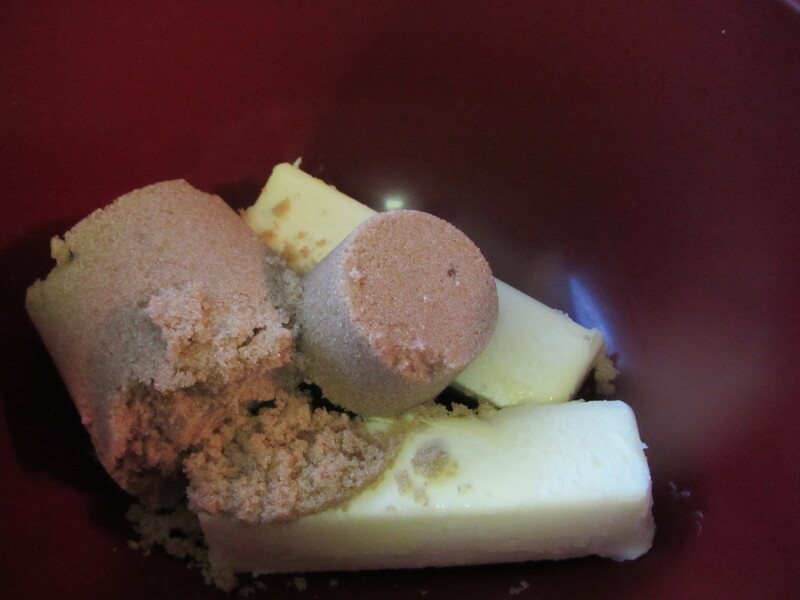 I found candied ginger at whole foods and bought the 365 white chocolate chunks. I chopped everything up and added it in. 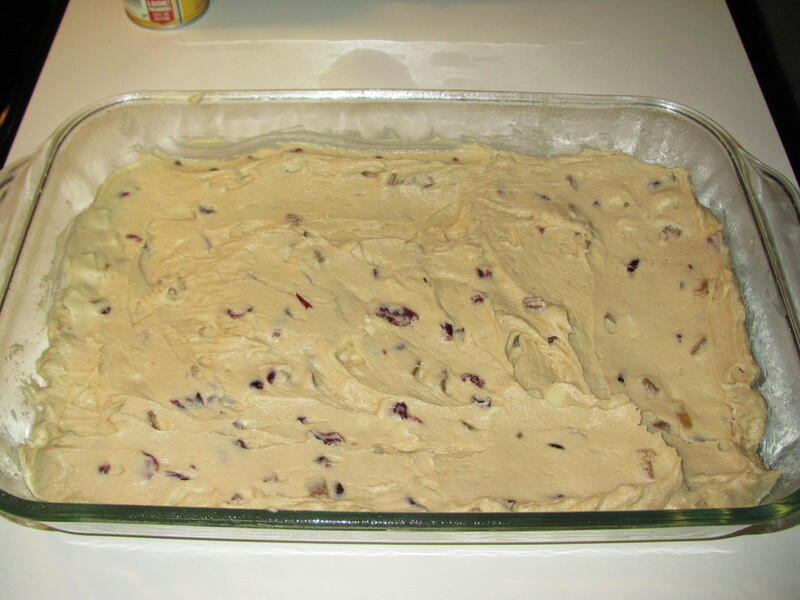 I always take a lick off the spoon while I’m cleaning up and the dough tastes promising! Bake the bars for 25 minutes and then cool before frosting. 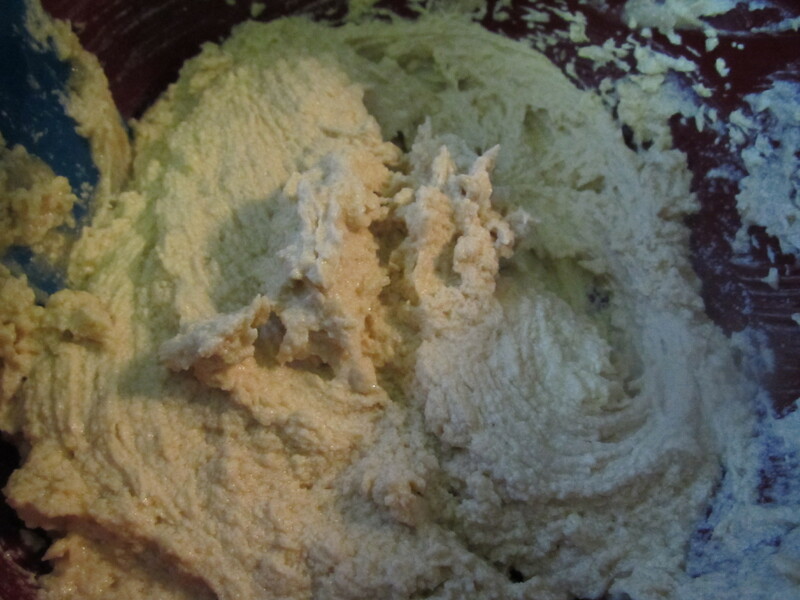 The cream cheese frosting is simple to make. 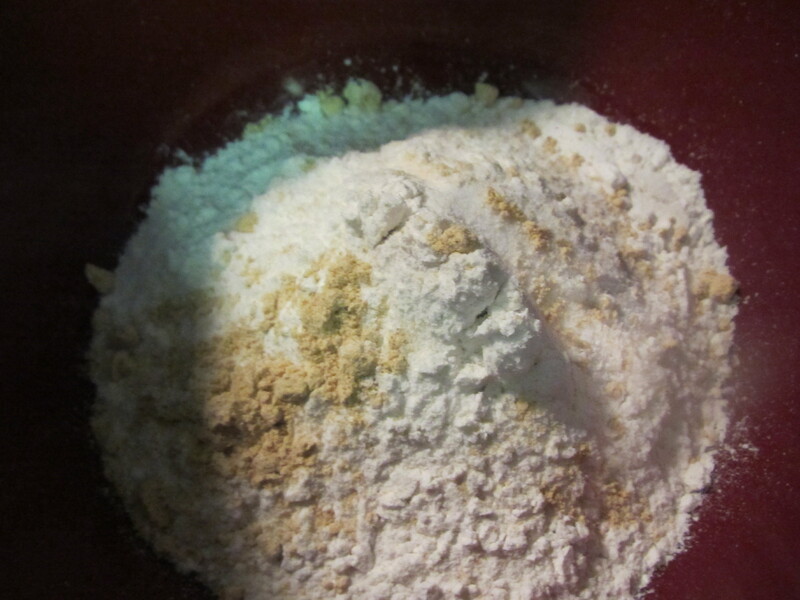 Just beat cream cheese, powdered sugar, butter, and vanilla. The frosting was delicious and I will use that recipe again for sure! 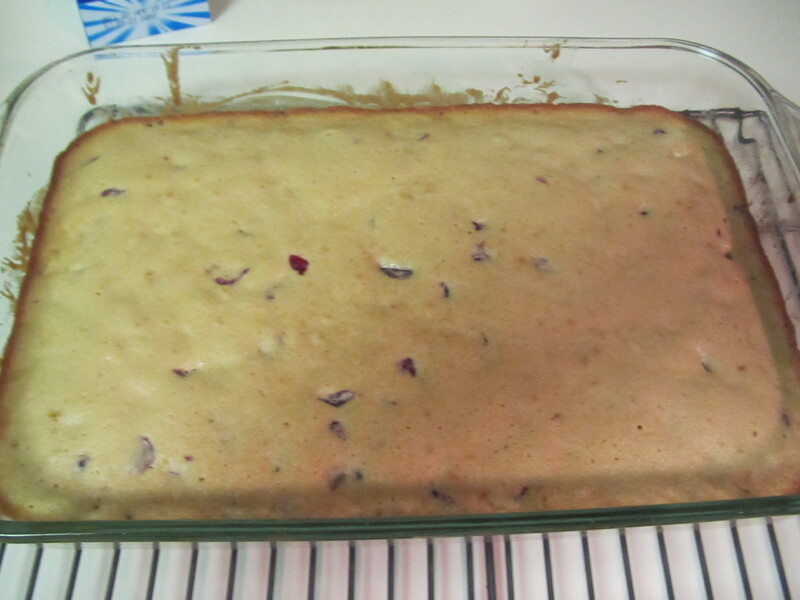 I frosted the bars with a thin layer and melted white chocolate to spread across the top, then sprinkled with dried cranberries. I was so excited to try them that I had to cut a tiny triangle for myself. Unfortunately white frosting doesn’t photo well on a white plate, but the bars tasted fabulous. 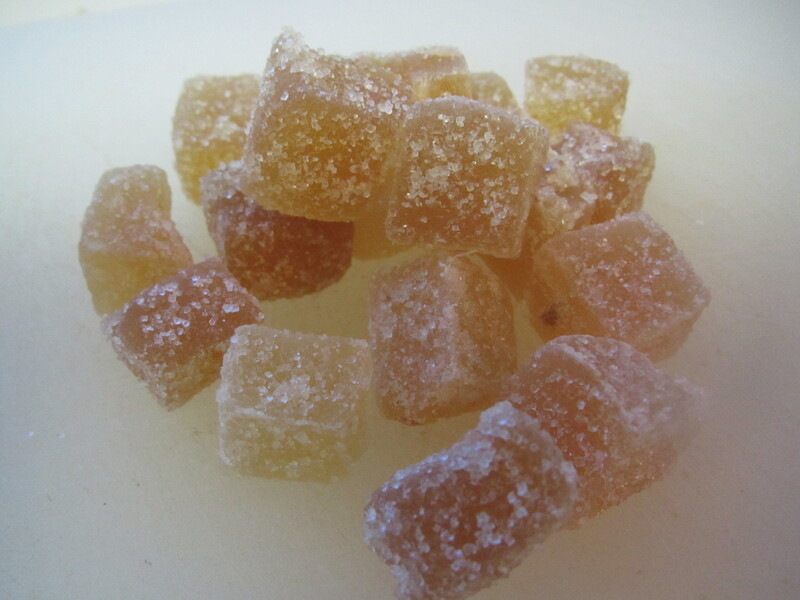 The candied ginger is the perfect addition. Next time, I might add some on top of the frosting as well. I’m looking forward to serving them at the party today! 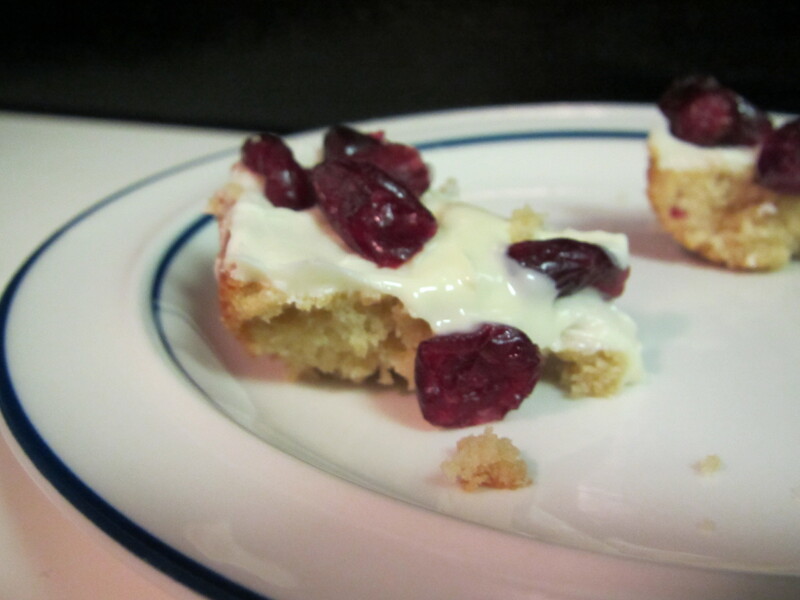 Stay posted for more exciting cranberry recipes! oh seriously yummy… and I can have one today as I burned 718 calories before 8am! You deserve it! I tried to swing by and bring some to the ‘ladies’. Maybe next time I’ll get the right Starbucks!